What if you could sync up with the stars to really know success in your life and business? 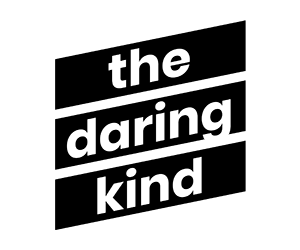 Perhaps, following the stars sounds a little daring, but here at The Daring Kind, we're always up for exploring our options. In episode 10, we chat with Rebecca Gordon from RebeccaGordonAstrology.com. In her 13 years as an astrologer, she has co-authored Your Body and the Stars and collaborated with major fashion brands like Agent Provocateur and Chanel. Rebecca is also the resident astrologer for Harper’s Bazaar. During our time together, we discussed how Rebecca bravely followed her calling as an astrologer and also how she helps entrepreneurs navigate their transits and the dreaded Mercury in Retrograde. How Rebecca’s interest in astronomy and psychology led to astrology. What she said to Astrologer Susan Miller that changed her life at age 24. Seeing trauma in the chart and how this creates potential for depth and healing. Discussing the meaning behind the natal chart’s Sun, Moon, Mercury, Mars and Venus. Navigating changes in our lives and business, and allowing this change to be seen as alchemy. Finding your strengths, challenges and your role in business through astrology. How entrepreneurs can organize their lives and launches with the stars. Looking at your chart in business. Is astrology more potent than Strengthfinder and other personality tests? Giving yourself permission to be the true you via astrology. Create an affirmation based on a quality related to your astrological sun sign that you want to emphasize. Example: The Pisces sign is known for being initiative. So my affirmation is “I am intuitive.” Declare your affirmation on Instagram Stories. Tag @rebeccagordonastrology and @thedaringkind. To learn more about Rebecca’s 1:1 sessions, workshops, events and programs, head to www.RebeccaGordonAstrology.com. Rebecca’s upcoming program, Astrology for Entrepreneurs.